Malaria. 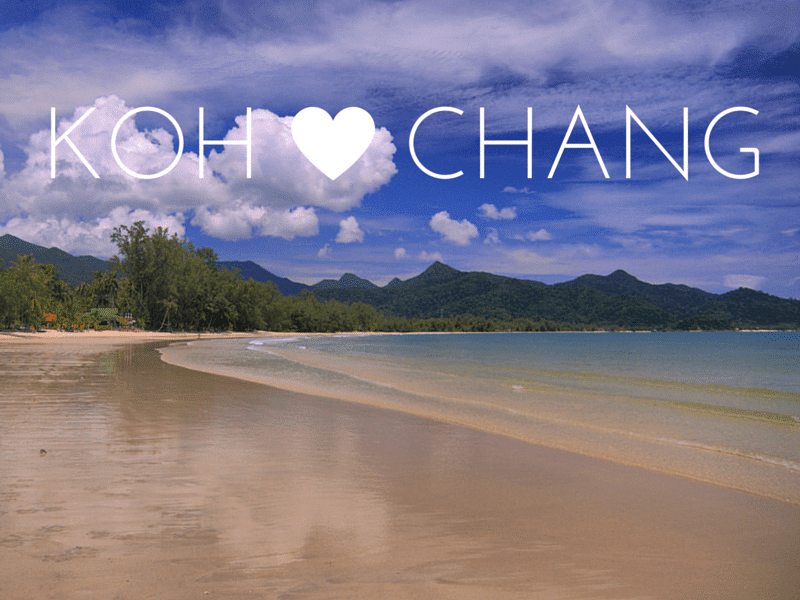 Will you catch malaria and die an agonising death if you visit Koh Chang? Or will you be one of the lucky ones and live to tell the tale of how you survived. Who knows? In reality, you aren’t going to catch Malaria on Koh Chang. For all the reasons why and also why you shouldn’t take anti-malarial pills, see page on Health & medical care. But to sum up, if you’re worried then take anti-malarial medication and you’ll have one less thing to worry about. But the odds of catching anything are very low and the chances of having side effects fro the tablets far, far higher than the risk of actually getting Malaria. Mangroves. As mangroves have a habit of blocking beach access most of those on the west coast have long been cut down already. But you can still hire a canoe and paddle down the Klong Prao river estuary to see mangrove lined riverbanks. A really beautiful mangrove forest can be found in Salakkok, in the south-east of the island. Sea canoe is the best way to visit. However, a newly constructed concrete walkway enables lazy-arsed visitors to walk about 800 metres through the mangroves. An experience that leaves you marveling at the poor construction on the concrete walkway for which huge tracts of mangroves were obviously cut down to enable it to be built. For a nicer mangrove forest experience, head to the head of the bay in Salakphet, turn left as you pass the temple in the village and follow the road to the end. Here a wooden walkway through the mangroves awaits you. Very peaceful down here. There are a few sings with information about the mangroves, but nothing in Engish. Marine life. Whilst the seas around Koh Chang may not offer Andaman-esque crystal clear waters they do offer a wide variety of marine life for snorkellers and divers alike. Rays, eels, turtles, groupers plus the very occasional whale shark can all be seen in addition to the usual multicoloured reef fish. The most interesting things I’ve seen are a couple of small sea snakes in the water off Klong Prao beach and big turtles near Koh Rang. Markets. There are an increasing number of afternoon / evening markets on Koh Chang. Vacant plots of land are rented to traders who set up at various places on different days of the week. The same stall holders put in appearances at all the markets which generally kick off mid-afternoon. From 2pm onwards you’ll see people putting up stalls and by 5pm things are usually in full swing. Not a great deal that you would want to buy but interesting enough to look around. If you’re anorexic you may find some cheap clothes that fit but otherwise seasonal fruit, deep fried meat by-products on sticks, tattoos, second hand TVs and a wide range of plastic items in primary colours remain the worthwhile purchases. Massage. You’ll find massage ladies on the beach, in your resort, lurking in hole in the wall shops everywhere on the island. Finding one isn’t a problem, finding a good one is far harder. 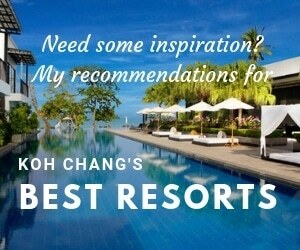 Cost is about 250 – 350 baht for a beach massage lasting an hour or so. A good way to unwind after a day’s swimming/canoeing/elephant riding/snorkelling etc. The vast majority are ‘traditional Thai massage only’ so, guys, if you’re in need of some form of ‘special’ massage for your dangly bits you’ll need to shop around – preferably discreetly. Getting a stiffy whilst enjoying a beach massage is considered impolite, and the odds are the massage girl won’t be impressed as she’s probably seen bigger & better in her time. For a good value, proper massage away from the beach in well decorated, clean surroundings try Sima Massage, Klong Prao – near Chang Chutiman elephant camp. I know lots of people who have been there and they will get all the knots out of your muscles. Your body will feel like jelly by the time they finish with you. Missing the ferry. One of the common fears anyone arriving on Bangkok Airways evening flight is “What happens if we miss the last ferry and are stranded at the pier?” Don’t worry, that hasn’t happened yet and unless flights are delayed a by a couple of hours or so it’s unlikely to be a problem. 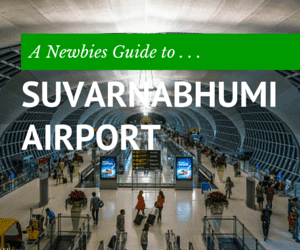 Trat airport is an informal place, you’ll be out of there 15 minutes after your plane lands and then it’s only another 15-20 minute drive to the ferry pier. The ferry waits for passengers who are on the airport minibus shuttles to the island. It won’t leave without you. Anyone heading to Koh Chang by bus should leave Bangkok before 12pm to make sure that they can get to Laem Ngop or Centrepoint piers in time for the 7pm ferry. Mobile Phones. It’s handy to have a mobile if you are spending a bit of time in Thailand. No need to use your SIM from home, just buy a Thai SIM card for between 50 – 300 baht and use that. They will work with most European phones. The main service providers are AIS, DTAC and True. The price of the SIM card also includes a credit for phone calls. Buy a 300 baht SIM and you probably won’t have to refill it at all during a 2 week holiday. Pre-paid refill cards are available from just about any mini-mart in the country. There are a handful of mobile phone shops on Koh Chang, these sell both second hand and new phones. As of mid 2008, the cheapest new Nokia is 1,200 baht. No frills, but it makes calls, SMSs, has an alarm clock and you won’t care if you lose or drop it. Monkey Show. This wouldn’t be Thailand unless some poor dumb creatures were being exploited. The dumb creatures in question being the visitors who head to see ‘attractions’ such as this one. Animal rights activists and anyone who’s sense of humour has developed further than guffawing over the sight of a leashed monkey dancing to Britney Spears’ latest offering should steer clear. “Look, Mummy, the monkey can walk around on two legs!”, “So could you dear if I held you up by a noose around your neck.” If you haven’t already visited Koh Chang, then you have now missed your chance to see this as the monkeys have all graduated and so the school is now closed. Monks. There’s a monastery in Klong Prao and one of the perks seems to be that off duty monks are free to lurk around the beach near KP Huts trying to work their devout Buddhist charm on female backpackers. There are also couple of monk retreats (basically monk campsites ) in the jungle. Other monks can easily be spotted in Bangbao, Klong Son, Dan Mai and Salakphet where there are wander out of their temples early in the morning to receive alms from the locals. If you’re up around 6-7am you’ll see Thai business owners, workers and locals giving alms to monks by the main road in White Sand Beach, Klong Prao, Kai Bae etc. Motorbikes. 100-125cc bikes are available to rent from virtually any hotel, guesthouse, hotel, noodle stall and street corner. Cost is 200 Baht for 24 hours rental which usually drops to 150 baht in low season. Expect to leave your passport or some form of photo ID as a security deposit. Most bikes are new and many are now automatic – which makes life far easier for inexperienced riders trying to navigate Koh Chang’s hilly west coast road. These will take two regular sized tourists, or four Thais, up the steepest of hills. You should be given a helmet as they are mandatory, although 95% of people don’t wear them. The scooters are easy enough to control but if there is any danger or a novice rider panics then halfway up, or down, a winding, hilly road isn’t the best place to come off the bike. Big bikes and dirtbikes are also available to rent from a couple of shops for anyone wanting to display their manliness by wrestling a V-Max around a few hairpin bends or going off-road in their resort car parks. Visit Koh Chang Choppers, at the southern end of white Sand Beach, just past the International Clinic, for Honda chopper rentals from around 600 baht/day. Avoid renting ATVs, they’re not road legal in Thailand, so you’re screwed if you have an accident. Motorcyclists. There are two kinds of riders on K.C. The bad foreign riders and the bad Thai riders. Their traits differ however, the Thai rider will more often than not be a danger to other road users because he places all his faith in not having an accident in a small amulet his grandfather gave him rather than following any rules of the road. This amulet gives him superhuman powers and makes him indestructible. Think about it, how fast would you ride if you thought you had eternal life? Foreign riders pose an equal threat, not through speed, more through lack of it. Lobster tanned couples wobbling around on a 100cc scooter and eventually stalling and falling underneath the wheels of a pick-up when attempting to climb a hill are an all too common cause of tailbacks. The best attitude to have whilst riding a motorbike is that everyone else on the road wants to kill you. If you bear this in mind you will be cautious. Also, don’t drive at night. If you do, assume that not only is every other road user is out to kill you but that they are also drunk and so don’t really care if they do. Don’t Feed the Monkeys. 500 Baht Fine to be Introduced.